The Caracal lineage consists of three medium sized cats occurring predominantly in Africa; two species in the Caracal genus and one in the Leptailurus genus. All three species predate on similar prey, however each cat occupies a different habitat thus reducing competition. 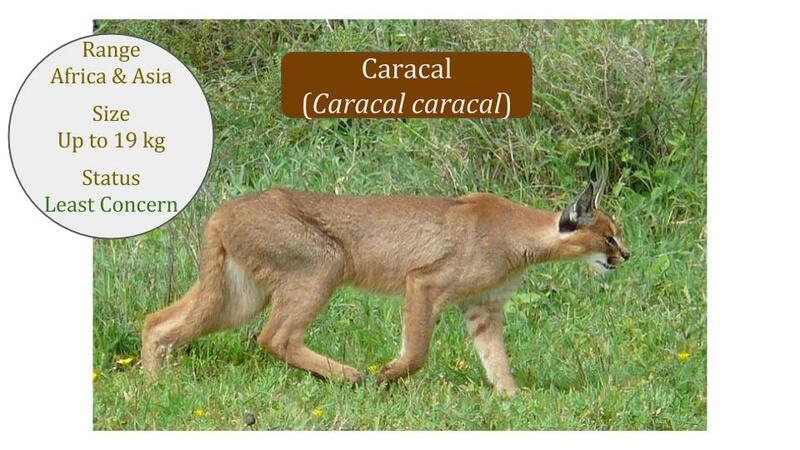 The Caracal lineage is the third oldest lineage of the Felidae family and diverged at 8.5 MYA (million years ago). This was during the first ice age of 8 to 10 MYA, when ancestors crossed the land bridges at the Red Sea from Asia to Africa and evolved into three mid-sized cat species. 1. On which continent do all three cats occur? 2. 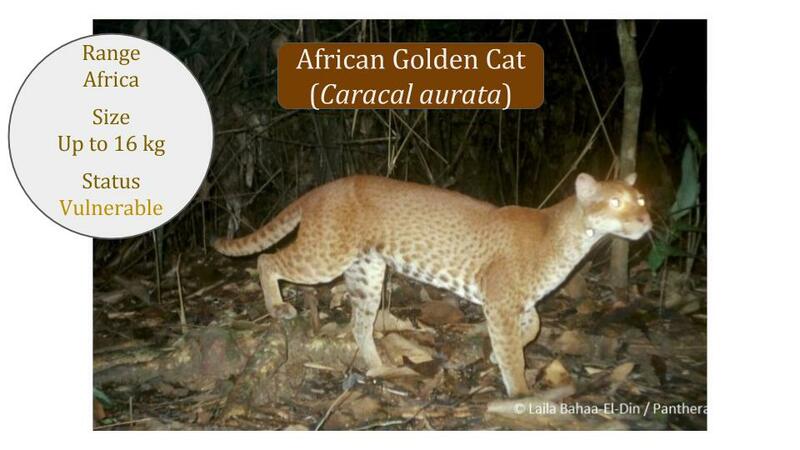 Which cats only occur on that continent and nowhere else (‘endemic’)? 3. Which cat has round pupils in contrast to most small cats that have vertical pupils? 4. What is similar about all these three cats? 5. 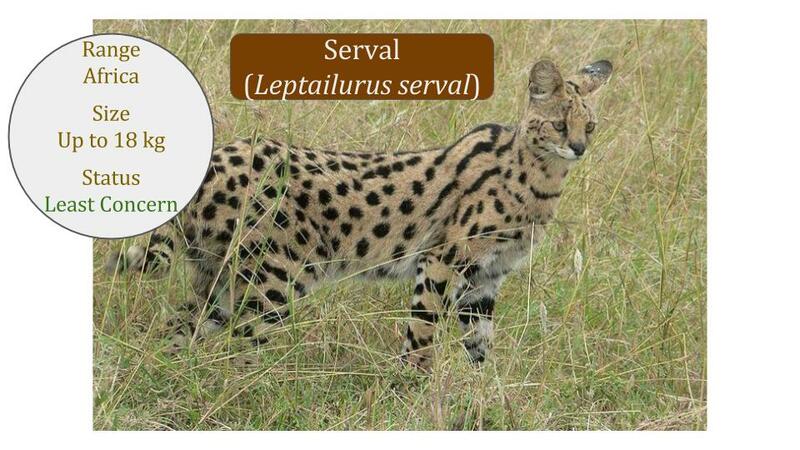 Which cat is often confused with cheetah and leopards? 6. Which cat has only recently been studied in its natural habitat? 7. 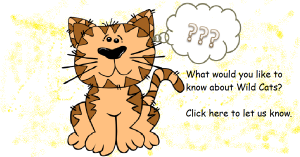 Which cat is often bred in first world countries for the exotic pet market? 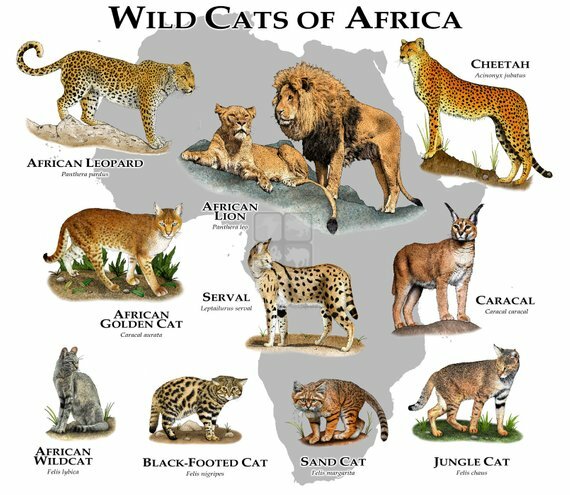 More about this group of medium-sized African cats.